For Miz Brown Sugar’s birthday this year we went to Heirloom Restaurant for dinner. Heirloom is a vegetarian/vegan restaurant that I had wanted to try for a while but never got around to it, so this was a fantastic excuse to go. Mine was the Feature Shrub, and honestly, I couldn’t taste what the seasonal fruit was. 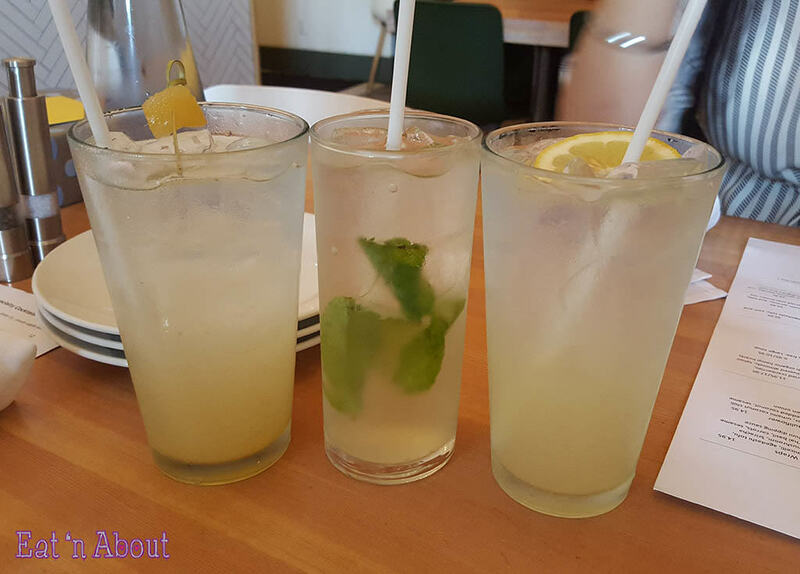 All the drinks were very refreshing. 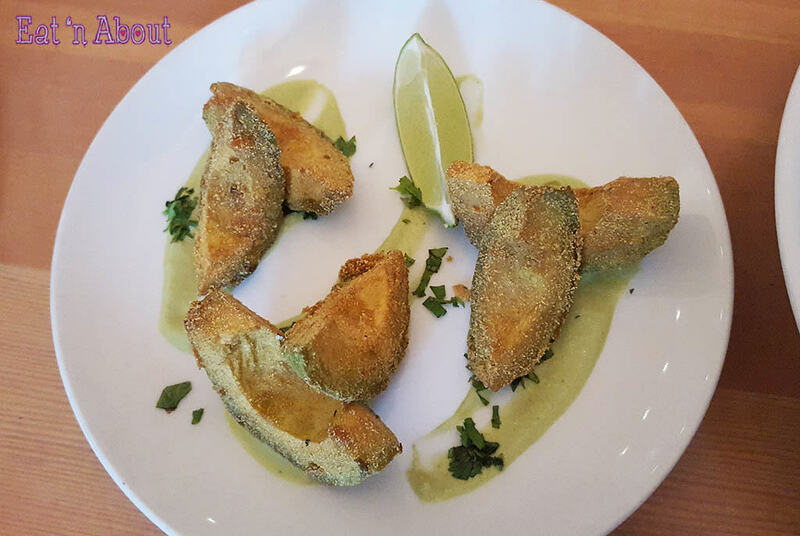 C-Dizzle and I shared an appy of Avocado Frites ($10.95) served with a creamy cilantro sauce. I thought this was quite pricey for six wedges of avocado (making up one whole one I guess?). Felt they were stingy with the sauce too. And honestly this really wasn’t that spectacular. C-Dizzle and Miz Brown Sugar both got the Royale with Cheese Burger ($19.95, vegetarian Heirloom patty, caramelized onions, sautéed mushrooms, garlic aioli, iceberg lettuce, pickled cabbage, aged white cheddar served on a brioche bun with yam fries and house salad). 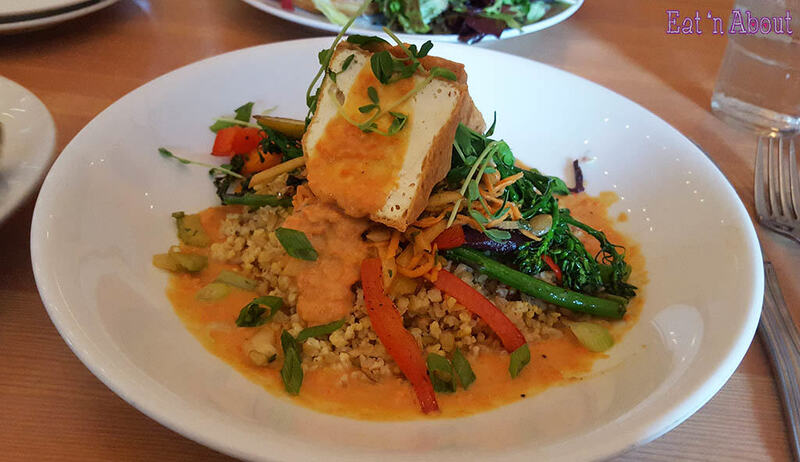 I ordered The Heirloom ($20.95, Vegan Freekeh, millet, sautéed vegetables, agedashi tofu, yam and apple slaw, gado sauce). I was excited for the gado sauce when I saw it on the menu but turns out there was just a small amount of it on top of the tofu so that wasn’t satisfying. I also found the other sauce on the bottom a little but tart for my liking, however that’s not to say I didn’t enjoy the dish. C-Dizzle also picked the Honey Lemon Vanilla Cloud ($9.95) for dessert. 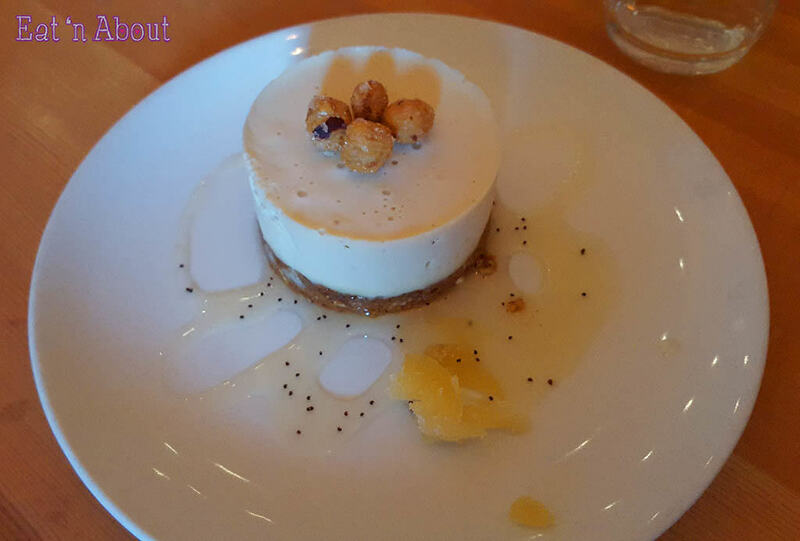 It’s described on the menu as ‘Toasted hazelnut crust with a lemon-poppyseed sauce, candied ginger and hazelnuts’. I was offered a bite and it was super creamy and yummy. We both decided that this was too dense to be called a cloud though, as it had the consistency of a thick, dense, not-so-airy mousse. 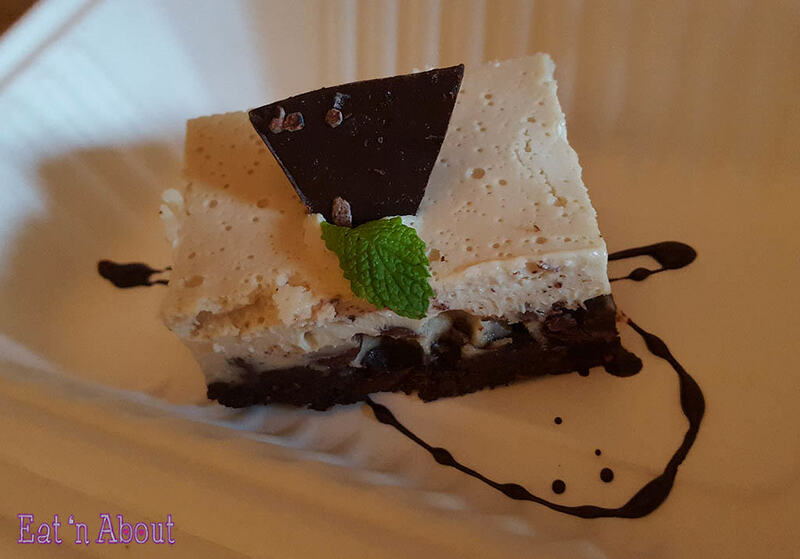 Birthday girl also ordered a dessert to go – the Chocolate Mint Cream Cake ($9.95). 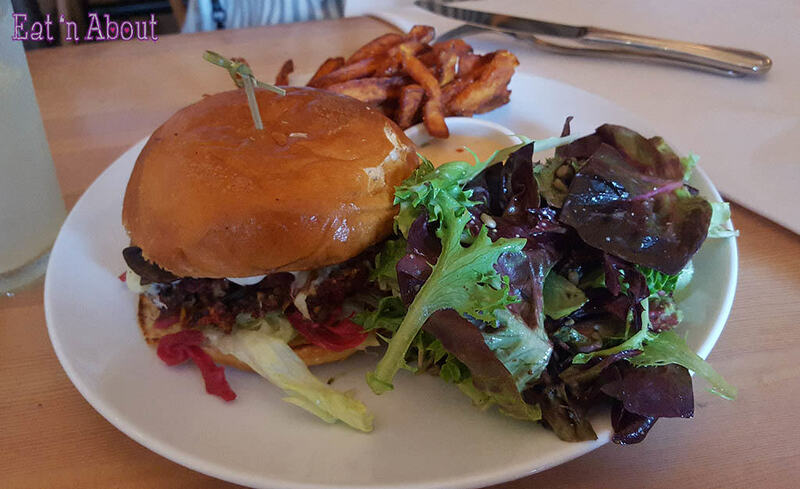 Overall I wasn’t incredibly impressed with Heirloom and I don’t think I’ll be back anytime soon. What I did like about the place was the food presentation and the decor of the restaurant. It was very comforting.